4 alternative motor positions for huge versatility on different track types and conditions. Front outer hinge pin design, grub screw fixing for improved pin retention. Adjustable rear shock location in front or behind the wishbones, in the kit. Larger 5 x 11 x 5mm layshaft and pulley bearings, increases durability and precision. Alloy horizontally split transmission housings for easy diff access and maintenance. Small, low rotating mass gear differential. 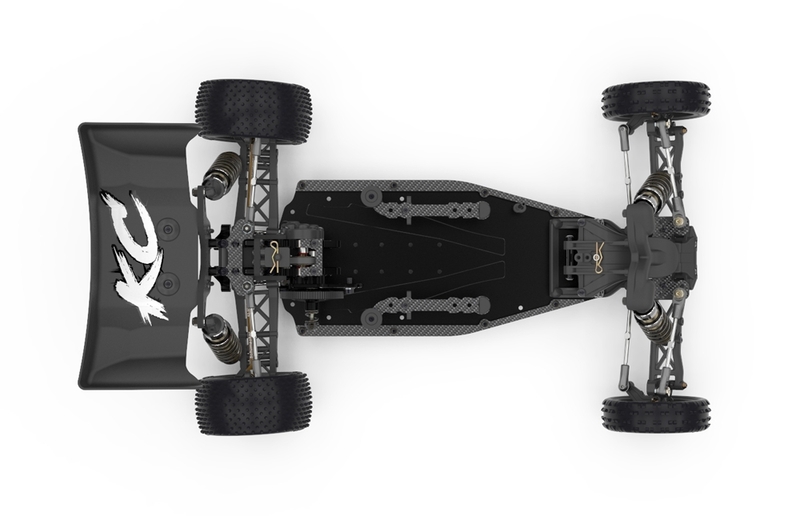 With 3 position height adjustment, to adjust for driveshaft plunge and mixed track conditions. Optional ball diff available. Carbon fiber side pods for advanced chassis stiffness tuning. 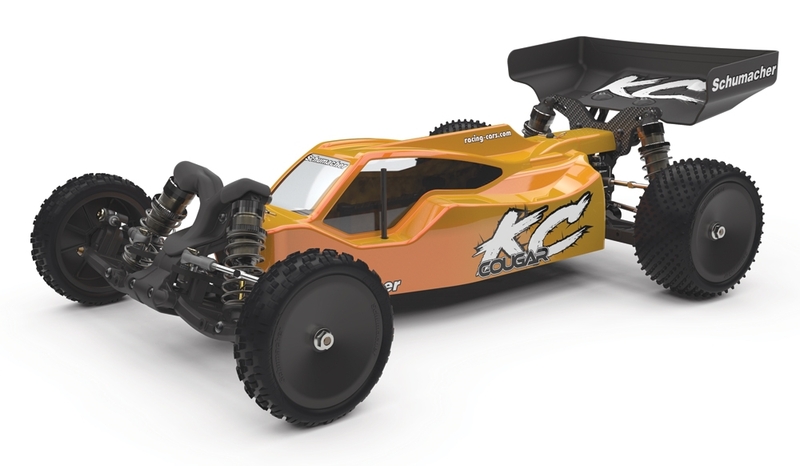 Versatile chassis allows conversion between the high grip Cougar KC to low grip Cougar KD spec. 5 cars in 1! 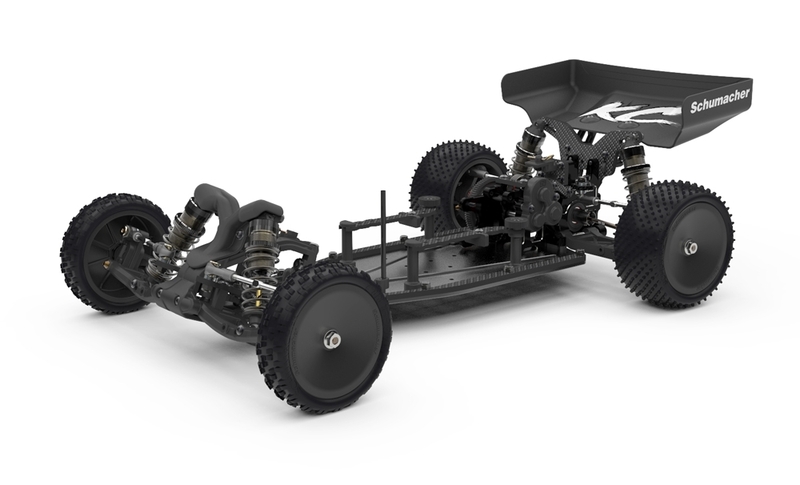 Class leading suspension geometry with durable components and a range of optional alloy parts, offering adjustments to set up your COUGAR KC for all track conditions.